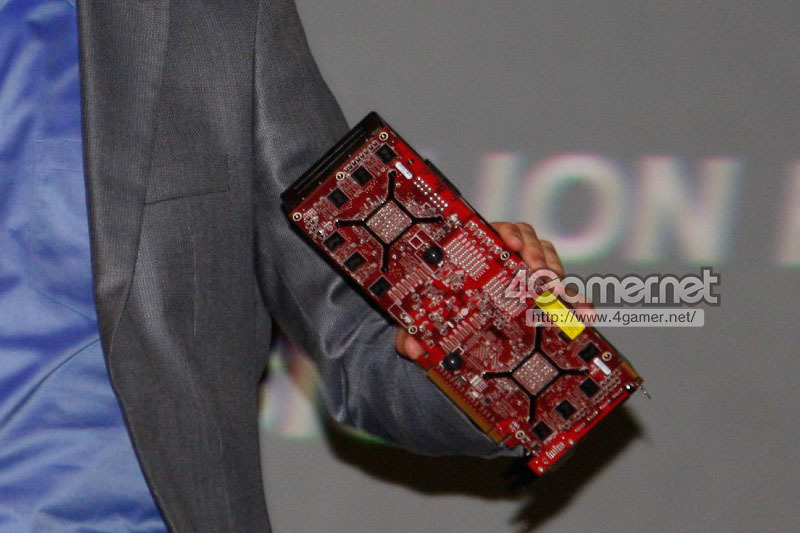 We've known since May, the existence of a new high-end single-GPU graphics card SKU in the works, at AMD. Called the Radeon HD 7970 GHz Edition, the SKU is being designed to regain AMD's competitiveness against NVIDIA's GeForce GTX 680. We're hearing a few additional details about the SKU. 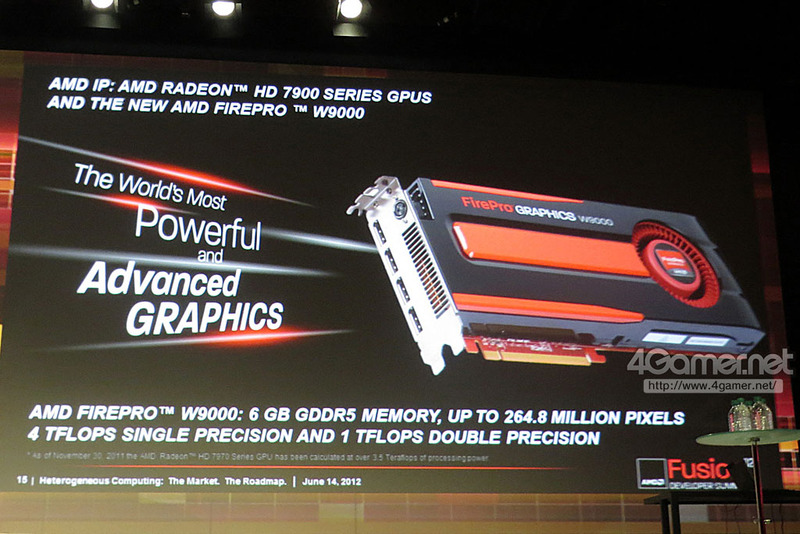 To begin with, AMD has worked with TSMC to refine the chip design. The Tahiti XT2 will be able to facilitate significantly higher clock speeds, at significantly lower voltages, than the current breed of Tahiti XT chips. 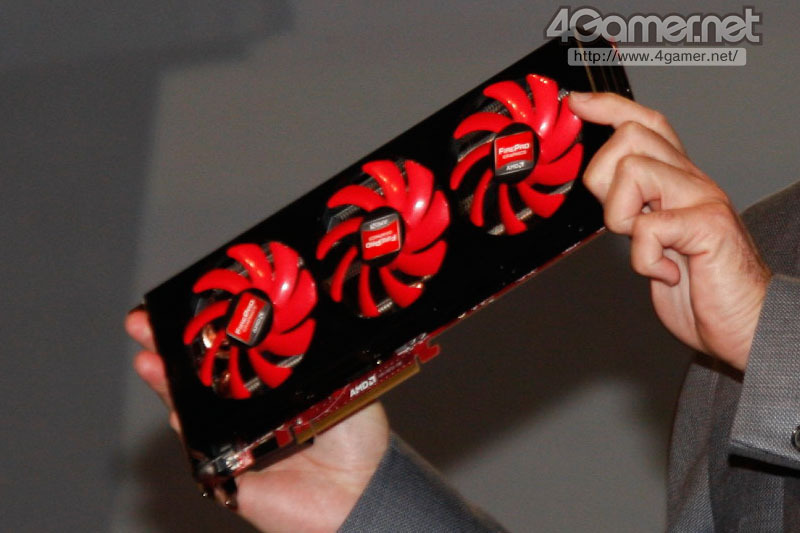 Tahiti XT2, or Radeon HD 7970 GHz Edition, will ship with a core clock speed of 1100 MHz, 175 MHz faster than the HD 7970. The GPU core voltage of Tahiti XT2 will be lower, at 1.020V, compared to 1.175V of the Tahiti XT. It's unlikely that AMD will tinker with memory clock speed, since Tahiti already has a 384-bit wide GDDR5 memory interface, which gives it 264 GB/s memory bandwidth at 1375 MHz (5.50 GHz effective). According to the source, the new SKU enters mass-production next week. So best case, it should reach markets by late-June or early-July. This should be called the 7990 like the 4890 was. Nice to see higher clocks and lower voltage, well done AMD. I have reason to believe this SKU will succeed (at beating GTX 680). MSI R7970 Lightning, with lower GPU clock (1070 MHz) beats GTX 680, and the Tahiti XT2's lower voltages could result in lower power draw and possibly higher OC headroom. Already got two GTX670 for SLI. There's nothing AMD can do to interest me, at least for a couple years. Well with a setup like GTX 670s I don't think anything should interest you for quite some time from either party. It sure is to me. 1100 MHz on a much lower core voltage. Seems magical. Have to say, that's a higher than expected clock speed (nearly 19% higher than the original 925MHz). And a much lower voltage too. I'm looking forward to seeing reviews. If that maintains the 1100 clock speed, it will beat the 690. 1100mhz at 1.02v? That's pretty impressive. Makes me wonder if it's tuned to clock at the high-end range of 28nm (~1200-1300mhz) at the leakage curve which is somewhere around 1.175v. That would be pretty neat and if curious if the process as a whole is being tuned toward that idealism. It makes sense and could be a stepping stone towards why TSMC is adopting a singular performance/leakage level for 20nm. Guess we'll see, but I think it could be a huge indicator. Agree it shouldn't need higher mem speeds, but that's pretty close to matching memory bandwidth with computational ability...which is smart and something they really should have done from the beginning. Should, in theory, out-of-the box give it a tangible benefit very close, to slightly better, than what even an overclocked 7gbps (figuring ~7700mhz) 256-bit design can achieve when (big 'when' I suppose) those resources are used. Good play capitalizing on the design strong-points and delivering a compelling reason for their decisions with Tahiti. 1) Wait until it actually gets released (it may be as they say now but until it gets released many things could change). If it can overlcok to 1300-1400MHz it will be a monster! Will it have shenanigans boost technology like Nvidia? nah i guess it don't need it. Even if it beats GTX680, AMD will price it close to $500. Nvidia will not reduce the price of GTX680 because they can't produce enough chips to supply the demand. This is not the AMD we used to know. Sounds like amd don't have anything up it's sleeve for awhile if there just binning for higher clocks. I'm not surprised. They already launched 77, 78 and 79 series cards. 7990 and 7970x2 will be launched soon. That ends this generation of GPUs from AMD. We won't see the 8X series before Q1 2013. They already screwed themselves. Anyone who was willing to spend $550 for the 7970 already did so. And this little boost is not going to make anyone drop their 670s or 680s to spend $500 and get a whopping 5% boost. Plus, nvidia's 670 is prime for a good price drop, which is all they would have to do to counter this card. Actually the 7970x2 cards are custom made by AMD's partners and have nothing to do with an AMD launch. HIS and others already have engineering samples out and are going to release them soon.